the nytpicker: "Spider-Man" Director Julie Taymor Withdraws From NYT's Arts & Leisure Weekend. Is She Mad At NYT? We Would Be. 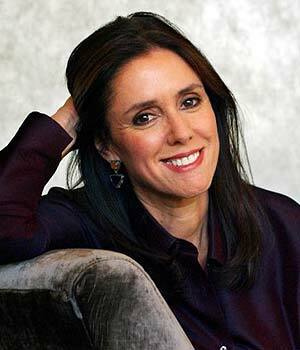 "Spider-Man" Director Julie Taymor Withdraws From NYT's Arts & Leisure Weekend. Is She Mad At NYT? We Would Be. It turns out the NYT's Arts & Leisure Weekend's one sure-fire newsmaking event -- a January 8 conversation between "Spider-Man" director Julie Taymor and NYT theater reporter Patrick Healy -- has been quietly cancelled. Without making any public announcement, the NYT sent a refund notice yesterday to ticket-holders already going to the session. But it's still listed on the front page of its online schedule -- it doesn't even rate a red "cancelled" banner over the listing -- and when you click to buy tickets, the site says only: "The chosen event is not available for sale at this time. Please choose a different event." Translation: it ain't happening, folks. And we all know why. It has to do with the mess that is "Spider-Man," and maybe even the aggressive way the NYT has been covering the story. From the beginning, Healy's coverage of the production has poked at its high cost, its shifting start dates, its lack of adequate investment, and its dangers. Starting in October -- when an actor named Kevin Aubin was injured during a demonstration of the show's special effects -- Healy has kept up the heat on Taymor and "Spider-Man." The NYT's Dave Itzkoff broke the news of the December 20 accident that left actor Christopher Tierney in the hospital with multiple injuries. In a daring stunt of its own, the next morning NYT posted on its website 8 seconds of terrifying amateur video of the accident -- likely to become a veritable Zapruder film in the annals of this troubled production. That can't have made anyone happy. The show's opening has been moved to Febuary 7. Meanwhile it has been jammed for previews, despite widespread criticism of Taymor -- who Broadway actor Adam Pascal said should be brought up on assault charges. NYT commenters have been nearly unanimous in their attacks on the show and its director. We wrote to Healy twice about the cancelled event; still no reply. We did reach Rick Miramontez, the publicity agent for "Spider-Man," who referred our questions to Taymor's own publicity agents. We asked Miramontez via email if either Taymor or the producers of "Spider-Man" are satisfied with the NYT's coverage. "Please ask us next week," Miramontez replied, cryptically. Meanwhile, don't despair. Some $30 tickets are still available to see Gail Collins interview Katie Couric. UPDATE: About three hours after we posted this story, NYT arts reporter Dave Itzkoff posted about Taymor's withdrawal from the event on the NYT's Arts Beat blog. Oh, please. Don't pretend that Healy has actually been breaking any news about Spiderman. Michael Riedel of the Post has been way out in front on this story from the start, and Healy has only been sucking his wake. Riedel has an ax to grind with this show. He's been vocally against it before it ever began. Healy does fair reporting. It's an important difference. Healy is an obnoxious and aloof interviewer. An artist of Taymor's calibre, should've never been paired with such an irrelevant know-nothing. Wow. Is the nytpicker now suggesting that the Times should go lightly on Ms. Taymor because she is scheduled to be one of their speakers? Golly gee, I can see some blogger having fun with that. BOSTON--(BUSINESS WIRE)-- Aruba Tourism Authority has signed on as the supporting sponsor for the Boston Globe Travel Show for the sixth consecutive year. SeaWorld Parks & Entertainment and Vacation Outlet are lead sponsors, and Bermuda Tourism and TNT Vacations are contributing sponsors of the 2011 show, which takes place February 11-13 at the Seaport World Trade Center in Boston. The Boston Globe Travel Show is the top-attended consumer travel show in the United States, attracting an affluent and educated audience from throughout New England. In 2010, more than 20,000 consumers and 2,000 travel trade professionals attended the show. More than $5 million in travel was booked on the show floor, across more than 250 exhibitors. Aruba Tourism Authority has been part of The Boston Globe Travel Show since its inception in 2005. . . . The three-day event features more than 250 travel exhibitors and suppliers, representing every segment of the travel industry and offering detailed information on trips to every region of the world. Gold and Silver sponsors include Omni Mount Washington Resort, The Bethel Inn Resort, Cruise Travel Outlet, Essex Resort & Spa, Greater Portsmouth Chamber of Commerce and Poland Spring Resort."